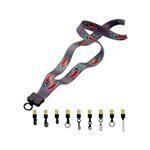 A great all in one lanyard at a great price! 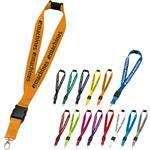 1" Polyester Lanyard with Slide Buckle Release, Silver Metal Oval Clip and Convenience Brekaway Release. 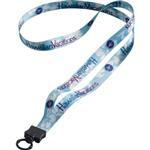 This is a great conference or trade show lanyard and can be produced rush in as little as 1-working day! 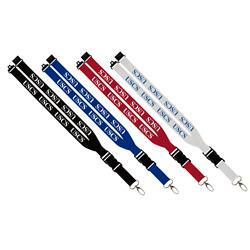 Comes in 12 colors! Dimensions: 1" x 20" on each side. Typical Imprint Area(s): 3/4" x 10" - front side; left + right panel.